QuickScore Elite Level II is Sion Software's premier music composition and notation software - incorporating scoring, arranging, MIDI and audio sequencing and recording. Use it to create publication-quality scores, musical content for the desktop and world wide web, audio CDs, MP3s and soundtracks for film, video and games. Winner of the 2009, 2008, 2007, 2006 and 2005 Top Ten Reviews Gold Award for music notation software. ...... winner of Electronic Magazine's 1998 Editors' Choice for music notation software upon its introduction. 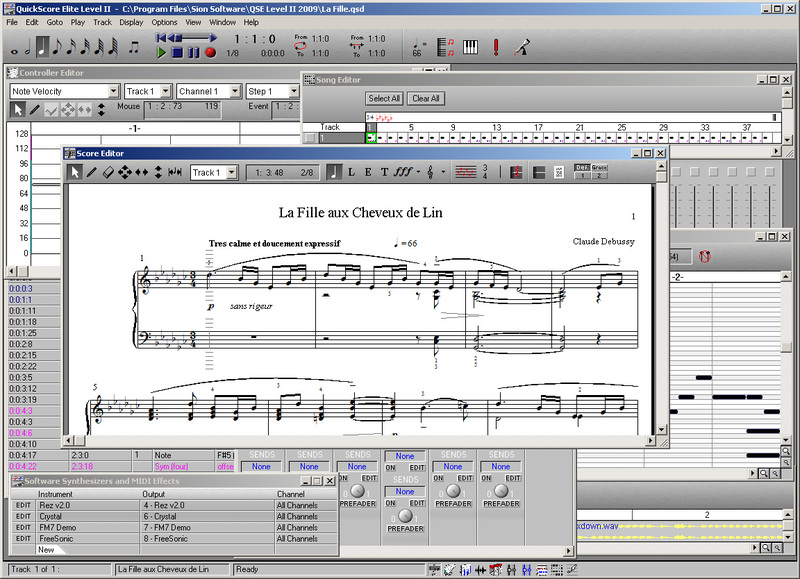 Comprehensive, integrated software for music composition. Swift Elite 1.0 the ultimate Hoster for the PC solution. Generate 1000s Of Keywords In Seconds. Find High Paying Adsense Keywords. iDemise In-Game Leveling Guide Has The Fastest 1-80 Time in the World! Prove it to everyone that you are the best quarterback out there. 250+ high quality artistic 3D Vista resolution icons. Qweas is providing links to QuickScore Elite Level II 2010 as a courtesy, and makes no representations regarding QuickScore Elite Level II or any other applications or any information related thereto. Any questions, complaints or claims regarding this application QuickScore Elite Level II 2010 must be directed to the appropriate software vendor. You may click the publisher link of QuickScore Elite Level II on the top of this page to get more details about the vendor.